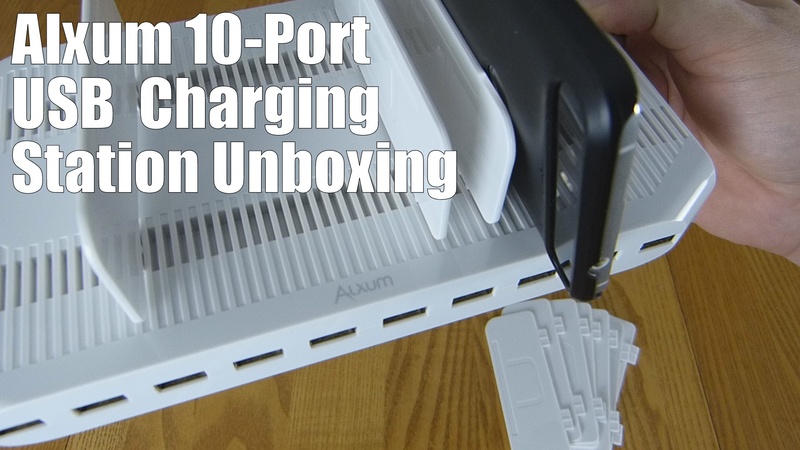 Organisation is the name of the game and the Alxum 10-Port USB Charging Station is a cheaper alternative that packs a lot more value for the money. But is it any good? CERTIFIED SAFETY – UL certification and Alxum’s Multi-Protect safety system ensure complete protection for you, your and your devices. Worldwide AC 100-240V input voltage. Rated DOE Level 6 for energy efficiency. Innovative design for space saving. Adjustable separator bracket stand allows you to adjust the width needed for different devices. Organize more than 10 devices? Use Alxum 5 Pack Plastic Separators for better performance.